Corporations have a strong impact on the realisation of human rights. "In terms of potential impact, decisions and activities of many large multinational corporations are capable of doing more harm to persons and resources in ways that thwart human rights than decisions and activities of some nation-states". These impacts are not merely confined to labour rights and environmental impact but span the full panoply of fundamental rights. 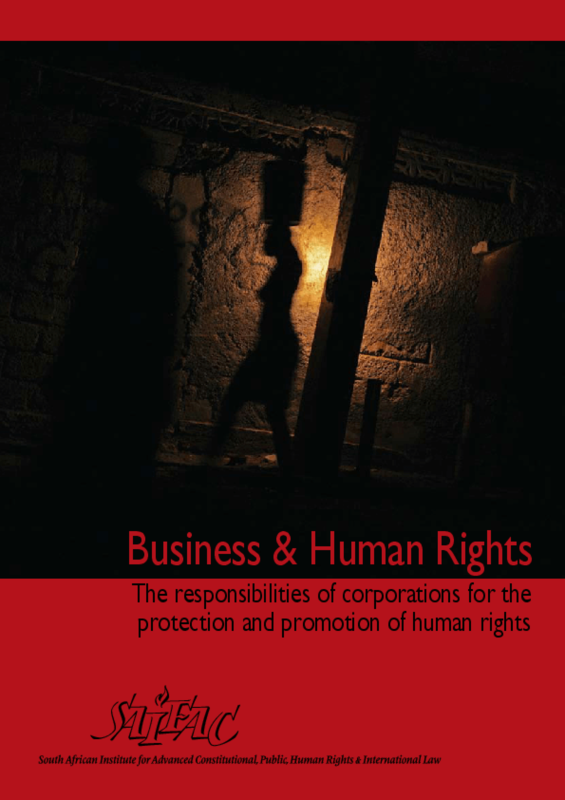 Do corporations have responsibilities for the realisation of human rights? If so, on what basis do corporations have such responsibilities? What is the content of the duties that corporations have for the realisation of fundamental rights? What legal mechanisms should be adopted to enforce the responsibilities of corporations for the protection of fundamental rights? Copyright 2008 South African Institute for Advanced Constitutional, Public, Human Rights &, International Law.